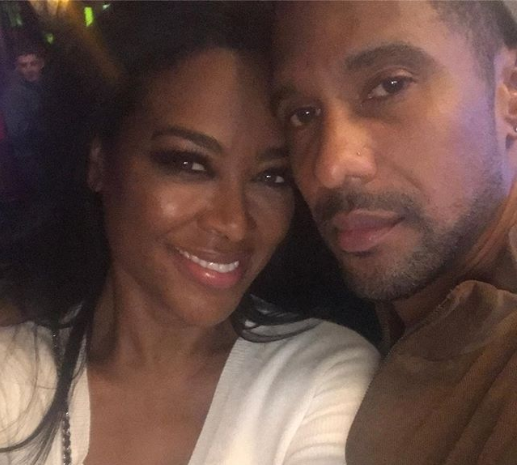 The rumors and whispering that have been swirling for months about whether Kenya Moore would be fired from the Real Housewives of Atlanta for her alleged deceit might be accurate. According to sources who spoke to Straight From the A, Moore has officially had her coveted peach snatched. The Detroit-born beauty queen has reportedly been caught in a web of lies that have worn thin with Bravo execs. She enraged RHOA producers last summer when she wed businessman Marc Daly in an ultra-private Caribbean-style ceremony and failed to inform her employers about it, nor did she invite Bravo honchos or her castmates to the island event. Furthermore, many RHOA fans are currently debating about whether Moore is even pregnant or if she’s pretending to be as a way to manufacture a storyline and remain employed by Bravo. According to Straight From the A, when the cast assembled for a “mandatory cast meeting” for season 11, Moore was not present. So far, the cast members who have been invited back include Cynthia Bailey, Nene Leakes, Kandi Burruss and Porsha Williams. Eva Marcille, who is currently in the “friend” status, as well as part-timers Marlo Hampton and Shamea Morton could claim Moore’s peach and get bumped up to full-time players on the series. Girl bye! Never liked her to begin with! Wasn’t she told last season that she wouldn’t be able to get pregnant, even by invetro (not sure if I spelled that right)! She is a little old and your chances of getting pregnant and the baby being healthy is slim, but her husband has enough money to adopt an infant! The only reason I watched the show was because of Kenya. She did beat the odds. She was abandon by her mother. She was educated, crowned Ms. USA, and a person that spoke about abuse. Dam she was the typical dumb black woman that had nothing going for herself. Bravo you have lost a fan. He’s gotta find her a gig. And a UGO to drive. Good riddance. Get rid of her. She is not pregnant. She will claim to have had a miscarriage along the way to keep her job. She is a liar. All them T.H.O.T.S need to checkout. I love your truthful comment. Not surprised at all. Who gets married in secret when all she’s talked about in almost ALL of the seasons she’s been on the show is getting married and having children. Had she really been married, she would have shouted it on the rooftop and invited any and everyone, friend or foe to her wedding. He personality wouldn’t allow her to do it in secreacy. She is a total liar and she is getting back what she did to Phaedra. She couldn’t wait to call her out for her “lies”, when exactly one year later, she too has been caught in a huge lie. She lost her peach, becasue she is boring and has no storyline and had to resort to lying about a marriage and now a pregnancy. Girl…BYE!! !